Prices exclude applicable fees and one time charges. See other applicable terms and conditions below. Savings claim based on individual product's non-bundled price. Some offers valid for new residential customers only. To receive all services, Digital Cable, remote and lease of a Digital, HD or HD DVR set-top box are required. HDTV set, HD or HD DVR set-top box required for HD service. Some services are not available to CableCARD customers. Not all equipment supports all services. DVR, HD DVR, Movies On Demand, HD Movies On Demand, HD Premium Tier, HBO with On Demand, Cinemax with On Demand, Showtime with On Demand, The Movie Channel with On Demand, Disney Channel with On Demand (and any other applicable Premium OD services) are optional services available for an incremental charge. Customer-owned equipment, and/or unapproved equipment, may result in diminished service quality. TSC reserves the right to discontinue any feature or offer at any time.  Not all TSC products and services are available in all areas. Digital Phone Service does not include back-up power and, as in the case with an electric-powered home cordless phone, should there be a power outage, Digital Phone, including the ability to access E911 services, may not be available. Additional charges apply for taxes, fees, Directory Assistance, Operator Services and calls to International locations. Offer valid for residential customers in Digital Phone serviceable areas. Must subscribe to both Digital Cable and Home Phone to get Caller ID on TV. Caller ID on TV is not available in all areas. In certain areas, service to unlimited phone jacks is included if customer's phone jacks are pre-wired in the home. Additional phone jacks installed by TSC are subject to additional installation fees. Subscription to BrightLightning may be required. TSC BrightLightning available in select areas. Actual broadband speeds may vary. Not all access methods are available in all areas. Many factors affect speed. Speed listed is maximum obtainable speed under optimal conditions. Set-top box and other charges, including terms, may apply. TSC SecureIT Plus is an optional service available for an additional monthly fee. Battery back-up for standard fiber-based voice and all (but not VoIP) for up to 8 hours. Additional charges and terms may apply.